English comedian, actor, presenter and newspaper columnist who first rose to fame in 2004 as the presenter of Big Brother's Big Mouth. He has since had a best-selling autobiography (My Booky Wook), starred in several films incuding St Trinians, Despicable Me and the 2011 remake of the 1981 Dudley Moore smash hit Arthur. 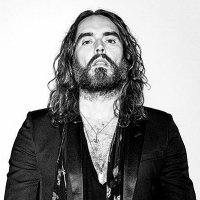 His shows include 'Scandalous', 'Booky Wook 2 - The Tour' and 2013's Messiah Complex.